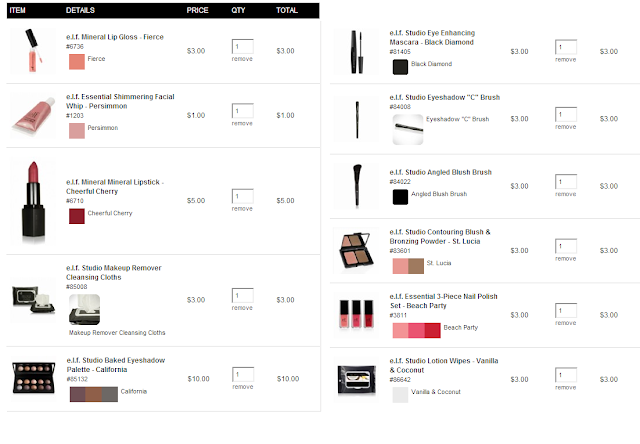 Elf just came out with a beauty subscription that is $19.99 + $6.95 ($26.94) per shipment every 8 weeks. This sounds high considering that elf products are often $1-$5 at target but the box comes out to $13.47/mo which is in line with most beauty boxes. Many of us are a bit skeptical and are thinking well there are a lot of Elf promotions out there and coupon codes so is this bundle really a good deal? 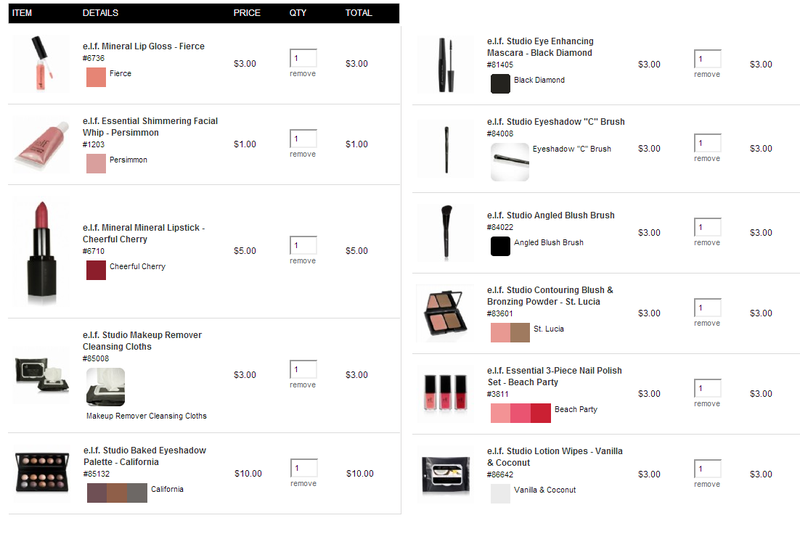 The below picture was sent to a subscriber after they ordered and was posted on a makeup forum. So how does it add up? Well I found a coupon for 50% some of the items at retailmenot.com and that saved $14. After that the final price was $32.95 which is not bad for a price of $26. I think a lot of the value of this box is the curation. It is a good box for someone who has not tried much makeup and needs to try it all or maybe someone who does not own any Elf and does not know where to start? I had never heard of Elf until recently so I might try this box just for the surprise aspect. As you all know, I love surprises.